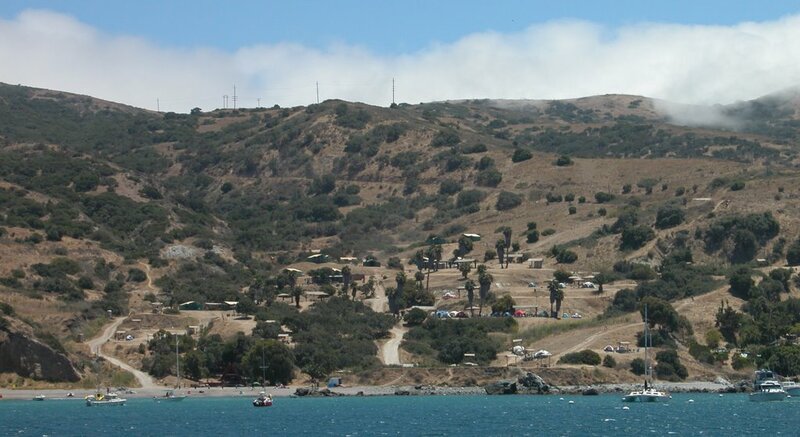 Two Harbors Campground An hour ferry ride from San Pedro to Two Harbors on Catalina Island brought my family to California paradise. Madison was on the island to attend a week long marine biology camp with Mountain and Sea. Jennifer and I spent three nights camping and two nights in Avalon. 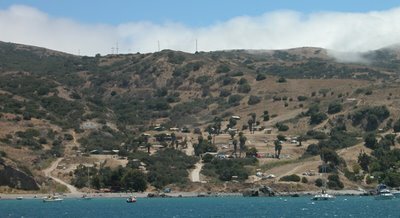 There are two main developed areas of Catalina Island, Avalon and Two Harbors. Avalon consists of two Safeways, dozens of hotels and restaurants, $40 dollar an hour electric golf cart rentals, Cold Stone Creamery and glass bottom boat rides. Two Harbors has a campground, a restaurant, bar and snack bar, dive shop/recreation rental business and twenty-five cent showers. 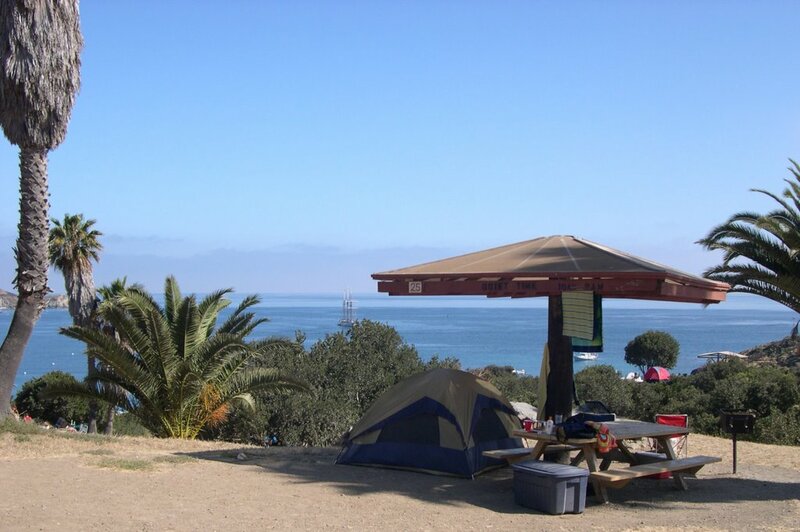 The campground sits on a bluff overlooking the Pacific Ocean at Catalina's Isthmus, just outside of the village of Two Harbors. The campground features 42 individual sites. Snorkeling Two Harbors Unfortunately there are no dive operations in Two Harbors Monday-Wednesday, so we spent a lot of time snorkeling the area. Still a ton of sealife to see. A short kayak from Two Harbors brought us to the USC Marine Preserve at Big Fisherman's Point. The preserve had the most sea life to see of all the locations visited on the island. I think the animals knew that they were not going to be threatened. In addition to all the Garibaldi, Opaleye's and Kelp Bass, we were fortunate to see Thornback Rays, Shovelnose Guitarfish and Leopard Sharks. The only bad thing about the area was the difficult kayak into the head winds back to Two Harbors. Other great snorkel spots in the Two Harbors area include the Isthmus Cove, 4th of July Cove and Little Fisherman's Cove. Octopus The octopus is the most intelligent of all the invertebrates. It is said that the octopus has the intelligence of a house cat, but I wouldn't want to insult the octopus. Similar to a rodent, it has the ability to travel through very small spaces and with keeping one in an aquarium, it must be totally sealed or the animal will escape. 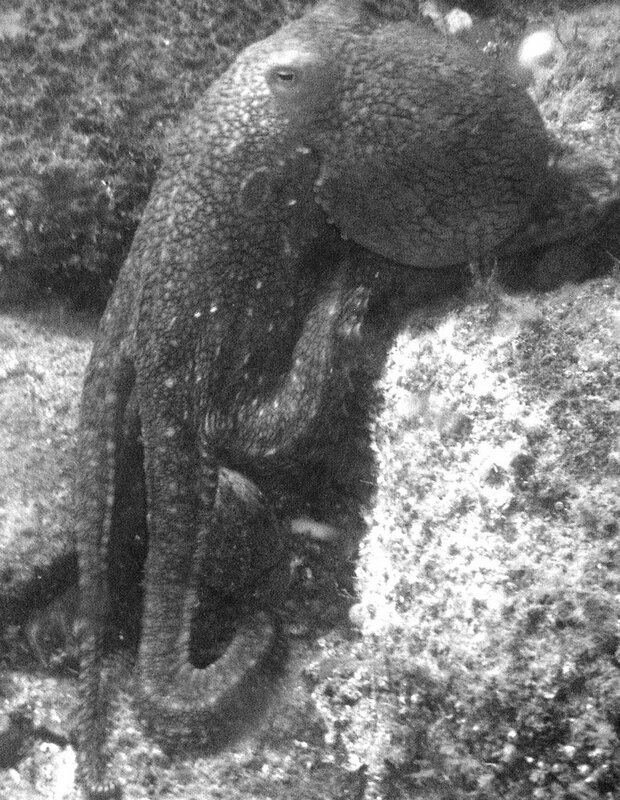 I transferred this photo to black and white simply because the octopus has the ability to camouflage to its surroundings, I thought the images contrast looked nicer in B&W. Octopus are fascinating creatures with which to interact underwater. Although close, intimate observation is an experience not to be missed, these are delicate creatures that can be easily damaged even to the point of death if grabbed. Although shy, they are quite curious, almost bold if they do not feel threatened and human interaction is not difficult if approached slowly. If threatened the octopus will ink the water in hope to dash away when its predator is lost in the cloud. Adult Garibaldi The Garibaldi or Garibaldi damselfish (Hypsypops rubicundus) is a fish of the damselfish family that is native to the northern subtropical parts of the Pacific Ocean, ranging from Monterey Bay to Guadalupe Island, Baja California.Garibaldis are renowned for their brilliant orange color and grow up to 14 inches in length. They live at depths of up to 100 feet, usually in association with reefs and typically over rocky sea-bottoms. They feed mainly on invertebrates that they remove from the rocks. 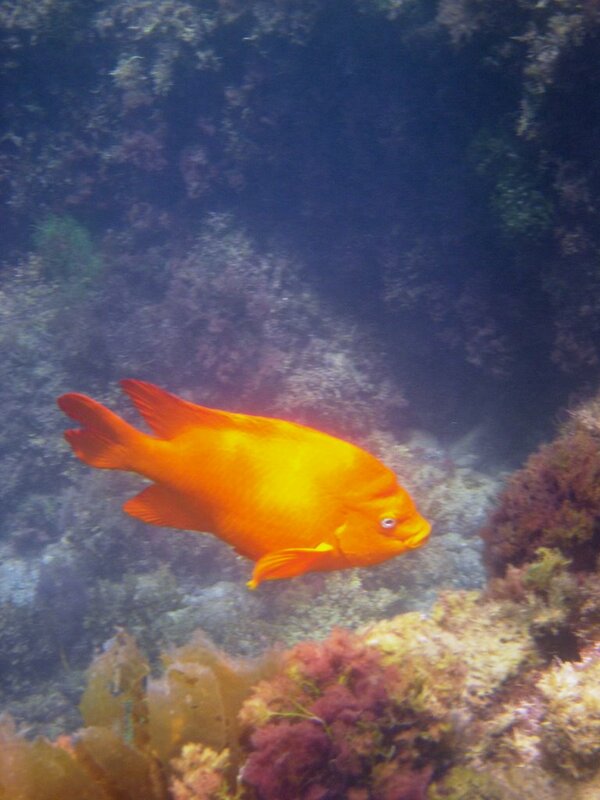 Adult Garibaldi maintain a home territory. The Garibaldi is the official "marine fish" of the state of California and has a protected status in California coastal waters. Juveniles bear electric blue spots to keep the highly territorial adults from constantly harassing them. 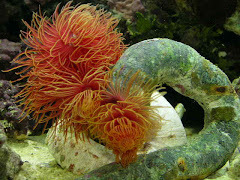 Opaleye's Opaleye primarily eat marine algae including feather boa kelp, giant kelp, sea lettuce, coralline algae, but also small tube dwelling worms, and red crabs. They form dense schools in shallower water where spawning takes place. The juveniles form schools of up to two dozen individuals. 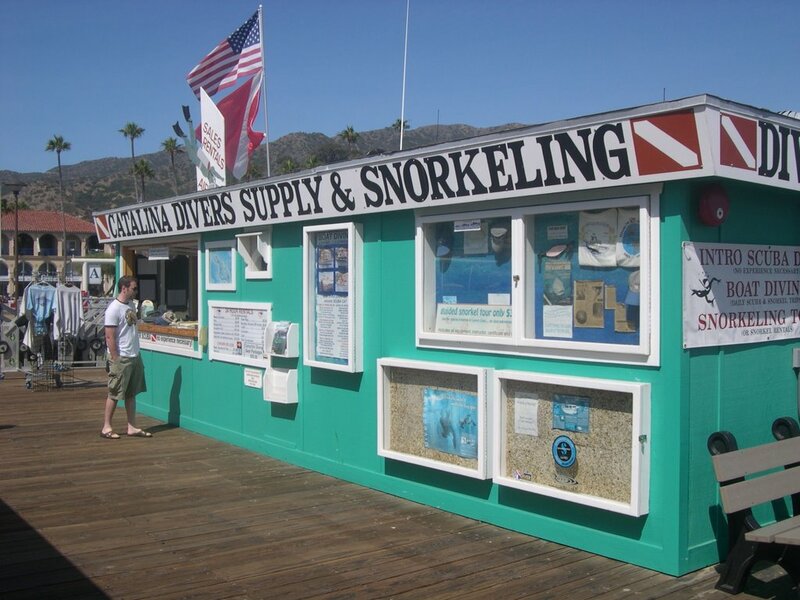 Catalina Divers Supply Catalina Divers Supply is the oldest operating dive shop in the city of Avalon, opening in 1957. They offer boat diving from the Avalon Pier and shore dives from Avalon Underwater Park at Casino Point. 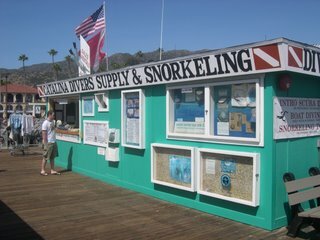 I did two boat dives with Catalina Divers Supply. The Rock Quarry provided views of Giant Bat Rays, Garibaldi's, Catalina Goby's, Gorgonians, Eels, various Starfish, Sea Cucumbers, Treefish, Rockfish and Spiny Urchin. 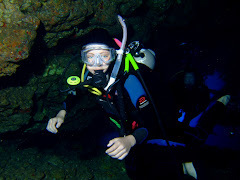 The second dive was at Alligator Rock/Italian Gardens. The highlight of this dive was the Giant Sea Bass. Giant Sea Bass were once a relatively common inhabitant of Southern California waters. 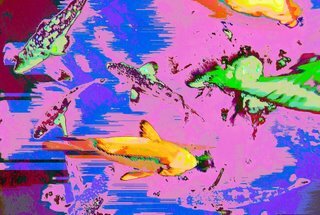 Beginning in the late 1800's, the species supported both a commercial fishery taking hundreds of thousands of pounds annually, and a sport fishery that also landed hundreds of fish each year. Ron, Catalina Diver Supply's divemaster, called exactly where two of these bass were located from the boat. The two bass, well over six feet long and over 400 pounds, were gentle and calm to the divers observations. Also seen at this location in addition to the previous dive were Sea Hare's, Tube Anemones and Kelp Clingfish. Warhol Bass So.....when my camera decides to go into an unknown mode underwater, this is what I get. This shot came from Lover's Cove near Avalon. Living in protected waters, these Kelp Bass were very comfortable with human interaction, (looking for a handout). Fish in Lovers Cove are quite spoiled. Many people snorkel with packaged food to feed the fish which I find appalling. These fish would actually bite at me. Not sure if they were angry at me for not providing them food or if they were looking to be first in line if I had something available for them. I recently set up Debbie's new 100 gallon aquarium that she won at the Western Marine Conference in April. 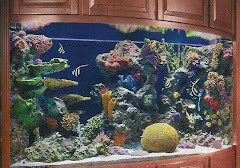 The aquarium was donated by Mermaid Aquarium of Fremont California. 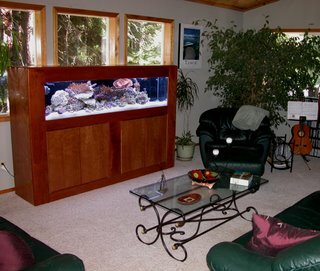 The eight bulb 36" T5 flourescent lighting illuminates the aquarium beautifully. Night time viewing is provided by the two bulb moonlight system from Fishbowl Innovations. The Moon Controller is a microcontroller based digital dimmer and moon cycle timer. It automatically varies the intensity of the connected moonlights over a 29.5 day period (the lunar month) to mimic the natural progression of the moon. 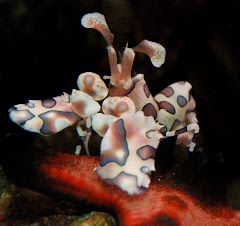 The showpiece of Debbie's aquarium, in my opinion, is the beautiful Montipora Capricornis. 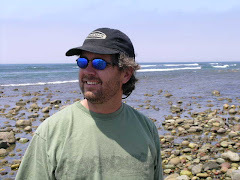 The Monti Cap was originated from Tim Plaza, Marine Aquarist Roundtable of Sacramento and has grown from a quarter sized frag. The colony is now over a foot and a half large. 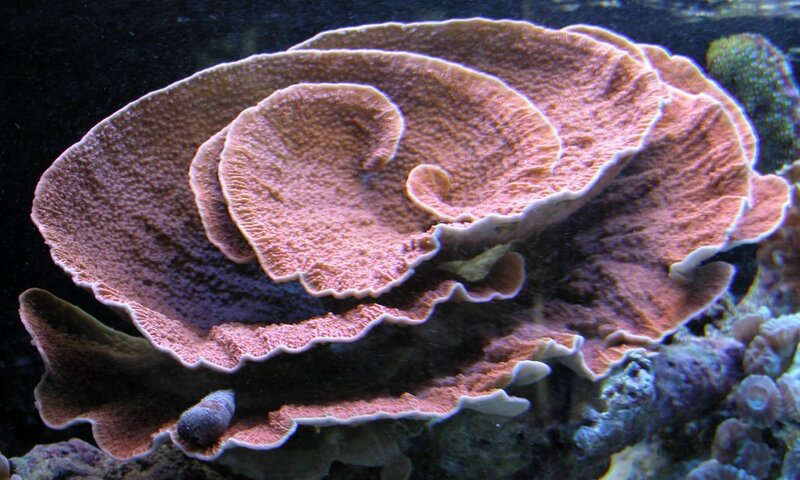 This aquacultured coral is peaceful and can be placed in close proximity to other similar peaceful corals in the reef aquarium. 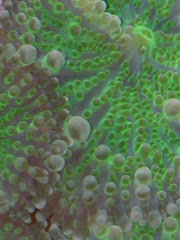 Aquacultured Montiporas are one of the easier to maintain SPS corals and grow rapidly in the established reef aquarium. It requires medium lighting combined with a medium water movement within the aquarium. For continued good health, also requires the addition of calcium, strontium, and other trace elements to the water. The Spaghetti worm is a tube dwelling worm that is usually found burrowed in the sandbed with its numerous tentacles exposed to gather edible organic matter. These worms are very complex animals, and have a body that may be divided into three regions, a head, thorax, and abdomen. The head is for feeding and respiration, the thorax for moving, and the abdomen for the digestion. Although these animals can be found eating large carcasses of a fish or invert, they inevitably came across the dead animal and in no way could it kill a larger animal on their own. The Yellow Clown Goby, Gobiodon sp. have a difficult time adjusting to captive care, since it is all too often that these fish arrive at our local fish stores emaciated, similarly to the Mandarin Goby. This is most likely due to the stressful transit period, which results in the fish not eating. 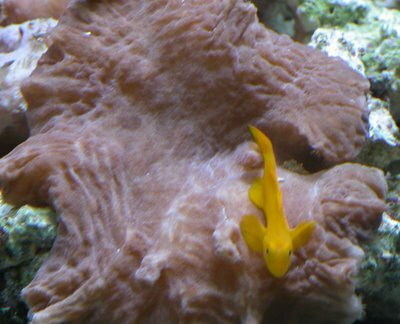 Being a smaller fish, and having what appears to be a fairly quick metabolism, not many of these fish make it to the hobbyist tank without having been starved to some degree or another. To compound this problem, they regularly require live foods and special attention until accustomed to aquarium life. Frozen/thawed foods can be offered first or the Arcti-Pods from Reef Nutrition, but if they are not accepted, be prepared to offer live food. Although fish of the genus Gobiodon are coral dwellers, usually utilizing the genus Acropora, it is not absolutely necessary that Acropora be present in their tank. In the home aquarium Gobiodon sp. 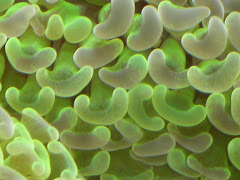 will often co-exist with other stony corals, or even soft corals, lacking more preferable options. In aquariums without sufficient coral growth, it is likely that the Gobiodon sp. will either hide within rockwork, or seek out any other hiding places it can find. Given this type of environment, it will not be comfortable, and most likely will not adapt well to captivity. 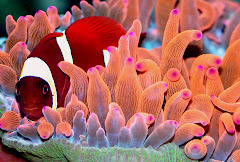 Due to their obligate coral dwelling nature, they can easily be kept in small or nano reef aquariums.